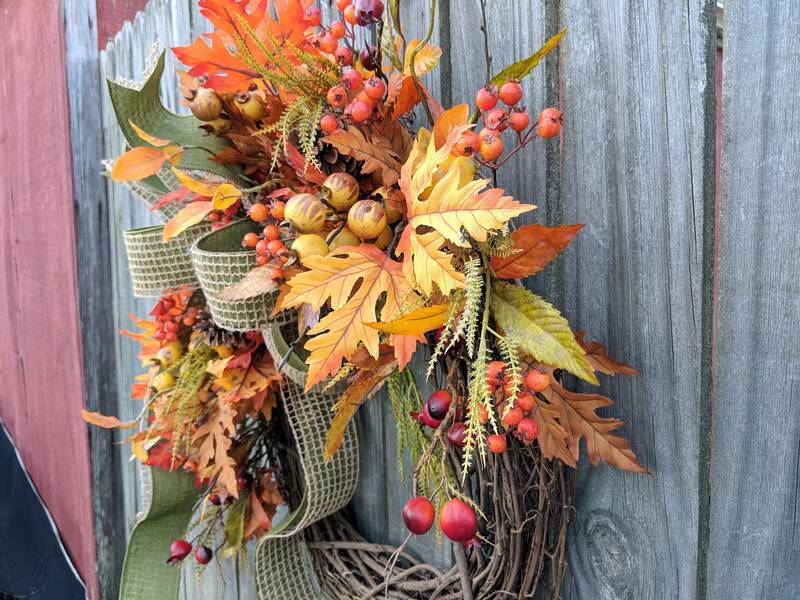 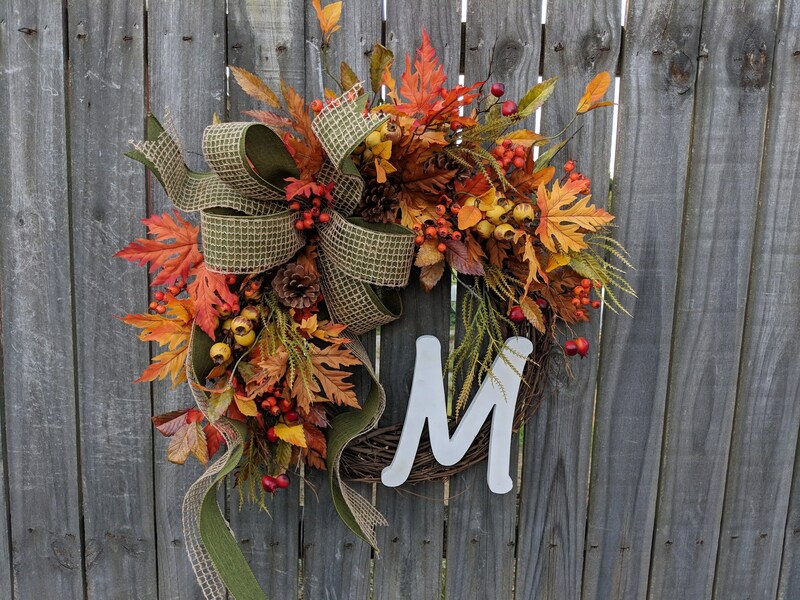 This fall Monogram wreath is characterized by a gorgeous wired green faux silk and burlap mesh bow. 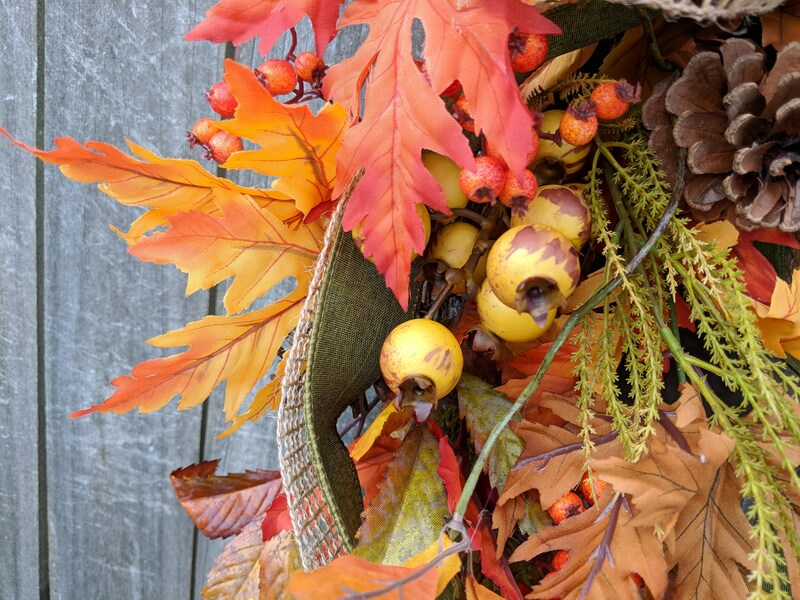 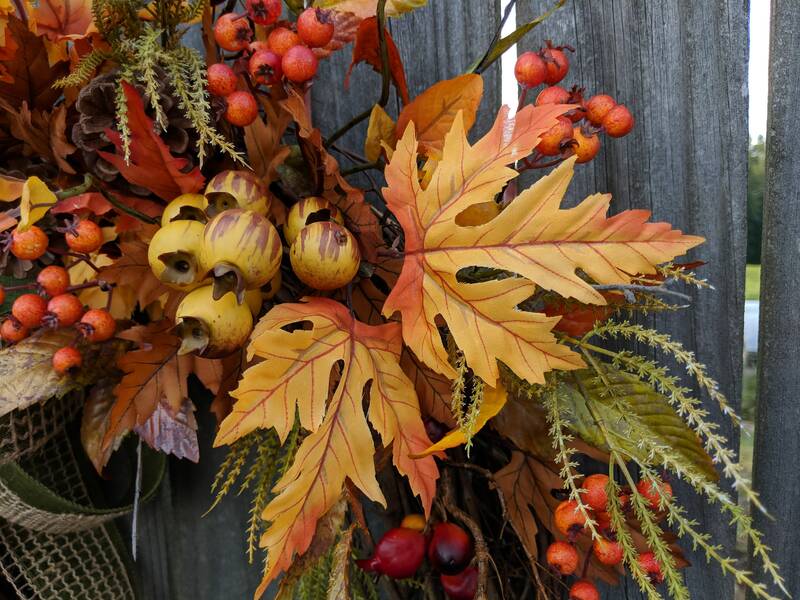 Realistic leaves, berries, and pine cones complete the look. 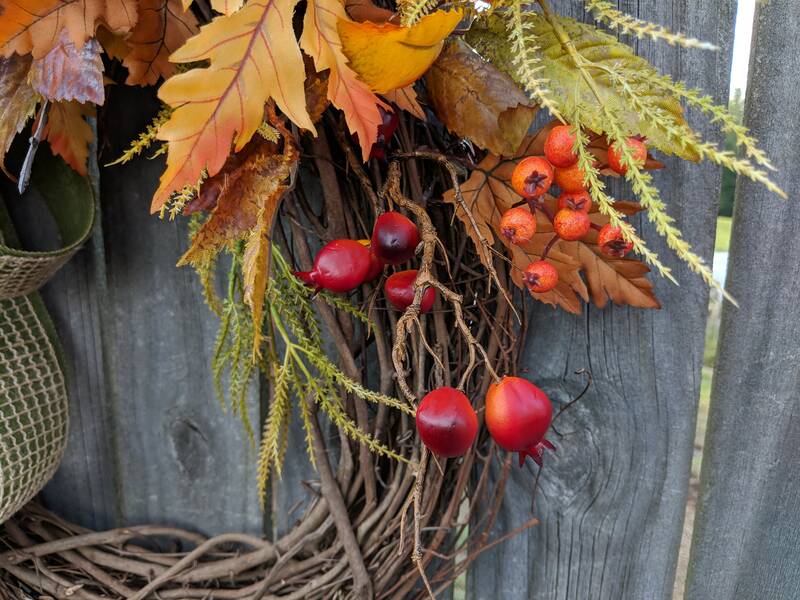 This wreath's leaves and berries have a light and airy feel where the grapevine base is visible in places. 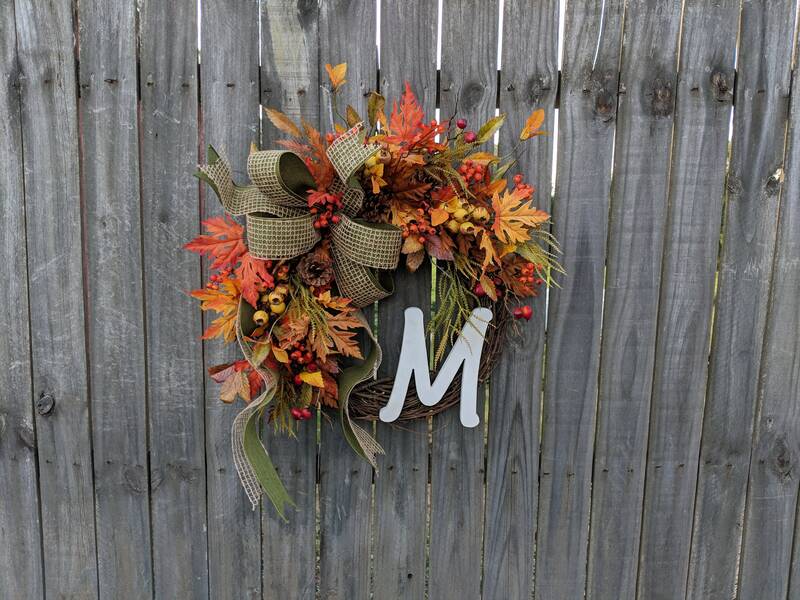 A white wooden letter of your choice gives this wreath a personal touch.